As Rallying goes, this has to be one of the most disappointing rallies I have ever (not) competed in! I usually carry out all the preparation work on the car myself, with the valuable expert assistance of GB Motorservices in Ross-on-Wye. 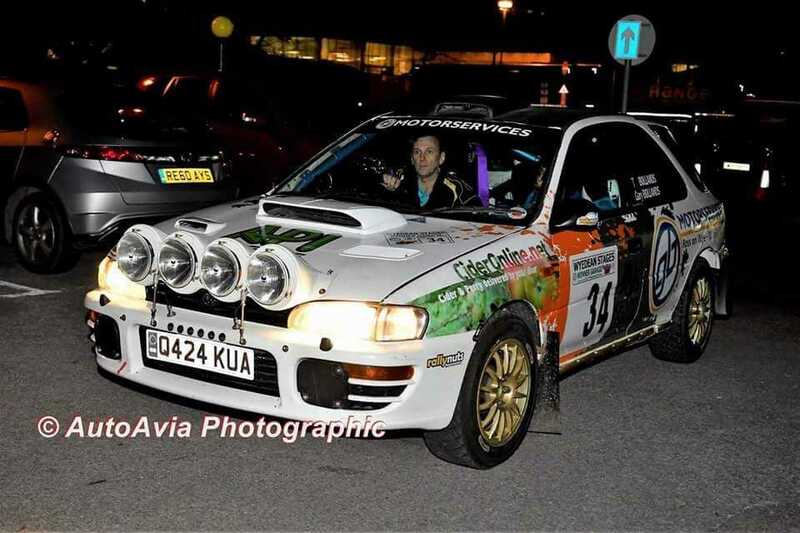 However, after Tiffany and I competed on our first WyeDean Rally in 2013 I was delighted to be contacted by a 'Subaru Specialist' who had watched us on the rally and offered to sponsor us!!! This is unheard of, but he was apparently impressed by the fact that we were obviously the only Impreza crew with a 2.0 Litre engine (according to his expert ears) and driving it like we stole it! :) We had some nice support from them for a couple of years, and when they offered to rebuild the engine after it overheated on the Nicky Grist Stages I was obviously delighted. Unfortunately, they did not keep to their word and after 4 months gave me back my car with an engine (to be kind and diplomatic) that had very little work done to it. Consequently it expired after we had passed scrutineering on Friday night, but before we could even turn a wheel in anger on Saturday!